Sandalo Healthy Vegetarian Cuisine definitely is a place for Vege lover must to be and Nowdays everyone around the globe was caution on their healthy foods taking and having less on meat as well , Sandalo Healthy Vegetarian Cuisine offers foods that Malaysian love in the way of Vegetarian . The owner himself are vegetarian for many years and having the healthy life he wanted , He encourage everyone go green for healthy lifestyle and get the benefit of vitamin from all the vegetables . The owner also are well known as Malaysian Local Artist Johnson Low Profession in Actor , Singer, Model and also Magician . And be our host for the day by deep explaining why Vegetarian are so important for human being , get green every meal we having by avoiding it . 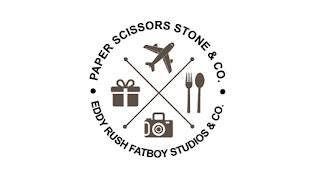 Eddy Rush Fatboy Production的部落好久都没写华文版的文章了 , 因为我Eddy Rush本人写华文文章还好而已.恐怕你们看不明 , 发言就一流 . 两年前还写出三种语言的文章 , 现在没那多时间了 , 写出三种语言真的很吃时间 . 还有 , 大部分的华文字都还给老师了 . 当年的华语作文考试才拿15%分 , 想我写的几好 ? . 我会尽量的回忆那些字 , 活到老学到老吧 . 好啦 , 今天我是要介绍珍发半山芭云吞面的新餐牌 . 几个月前 , 我来过了两次 Pudu Chan Fatt Wanton Mee . 不错吃的老字号云吞面 , 超过六十年历史的老字号就在白沙罗上城 . 但今日 , 珍发半山芭云吞面已经从新开业 , 由第二代来把家庭秘方大开眼界 . 历史食谱从一九六六年开始 , 于一九九六年结束 . 二十一年的遗产回忆的正宗品味，终于在2017年重生 . 梅根根据母亲的愿望恢复了父亲的遗产 , 将她家庭遗产的传统食谱带给了新一代的顾客 . 来看看他们的新餐牌吧 !